This isn't my best work, I'll admit. I was on a time crunch and committed to using things only from my fabric stash. The thing that saves this dress is that my niece is wearing and it and she makes everything look adorable. Too adorable not to post. It is two pieces, the white under-dress and the lacy blue over-dress. I think I might be able to make something more authentic (or even just more on-theme, because I'm no SCA member over here) for the next girl who is big enough to wear this dress using this as a jumping off point. 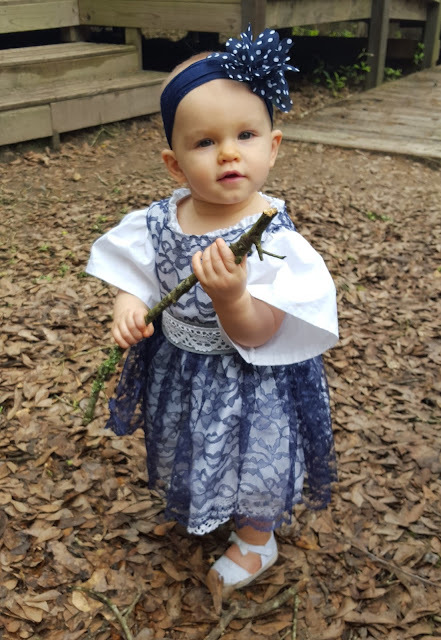 But it did use up some of my stash, it was comfy and cute for my niece to wear, and I can always improve it. 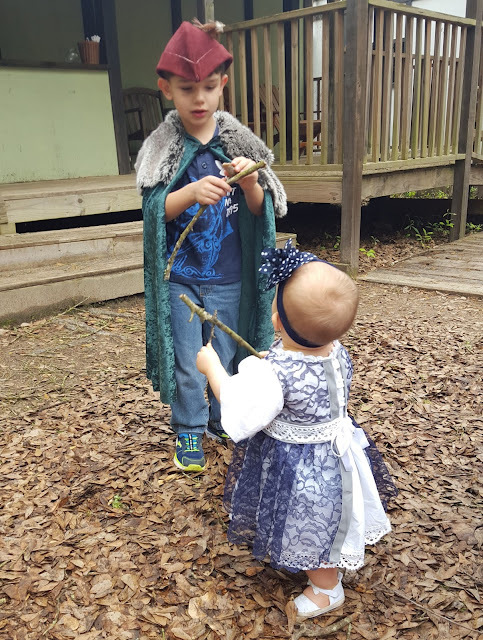 I drafted the pattern myself and got to practice making small person sized outfits. The back of the over-dress ties in the back with a white ribbon. Maybe I should add laces? That's my son Jack in the background wearing a borrowed cloak and a robin hood hat as a makeshift costume. I was pregnant at the time, that's my excuse lol!